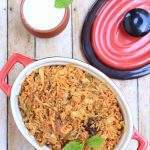 Rice is a staple for South Indians and we do not get tired of eating it. We do however want to eat it as many different recipes. 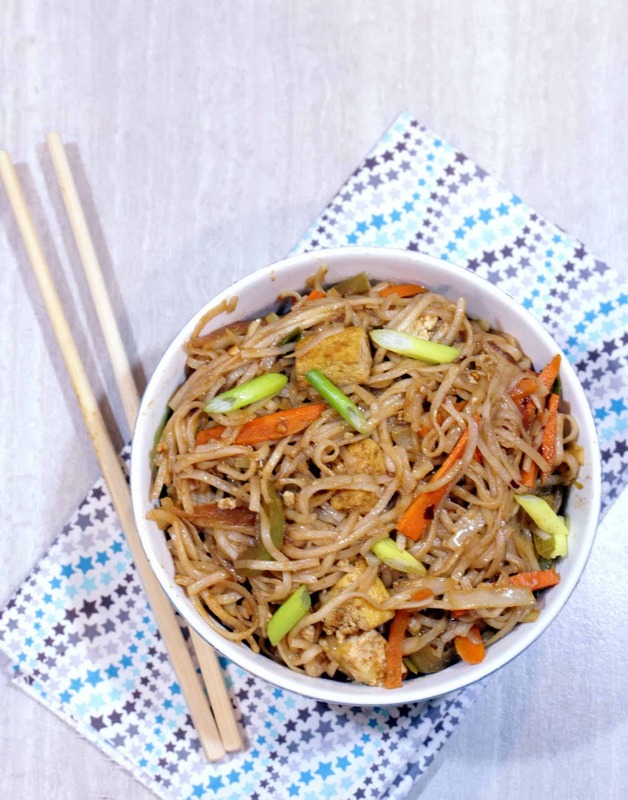 We all love the Indo – Chinese fusion flavors in our house. 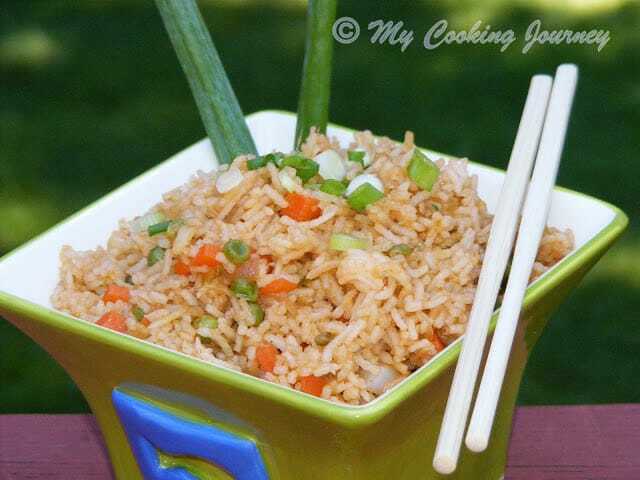 The kids love Gobhi Manchurian and fried rice and half my Manchurian usually disappears long before lunch/dinner time. 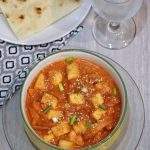 This recipe has my favorite ingredient paneer cooked as a fusion dish. I love paneer in anything, though my kids like tofu better. I most often substitute tofu for paneer, but at times make paneer to satisfy my taste buds. 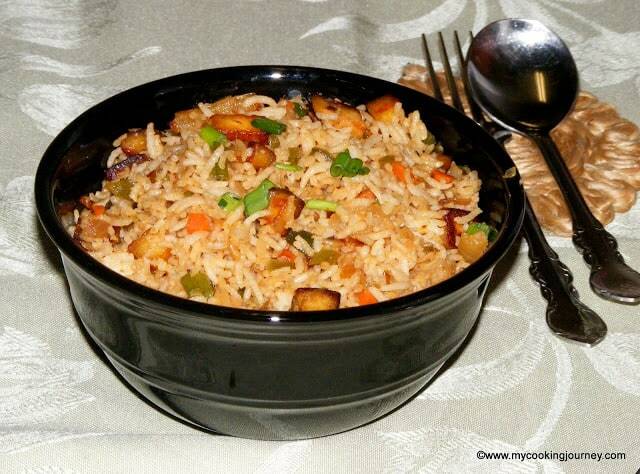 This is a quick dish that works great with left over rice. I have added whatever vegetables I had in hand, but you could use anything that you like. 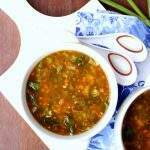 Chop all the vegetables and paneer and keep it ready. 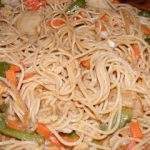 This is a stir fry recipe and the vegetables need to go in one after the other. 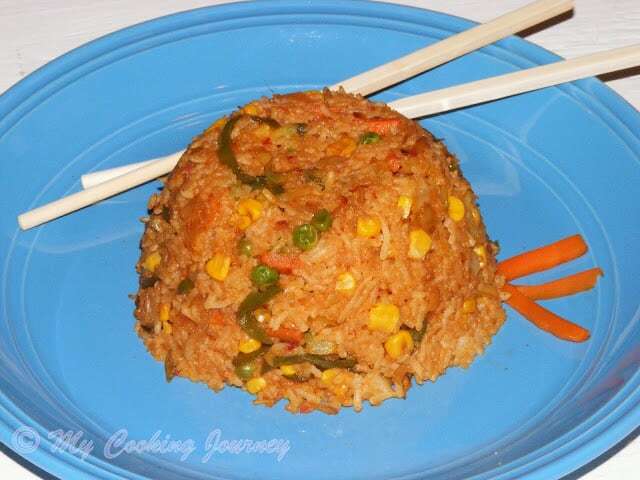 Cook the rice and let it cool down. 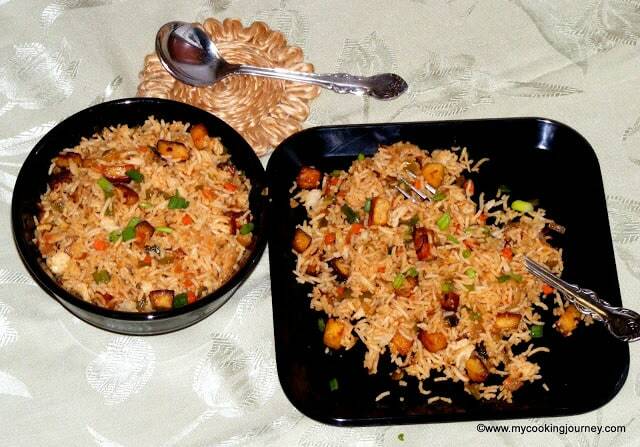 Make sure that the rice grains are all separate and not sticky. 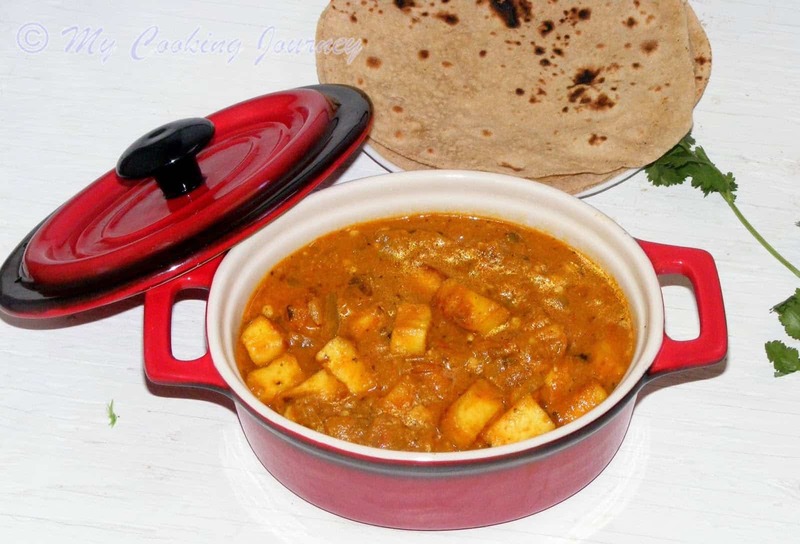 In a wide pan, heat the regular cooking oil and sauté the paneer cubes until light golden. Now add the chopped onion and the white part of the spring onion and fry in medium to high heat for 2 minutes. 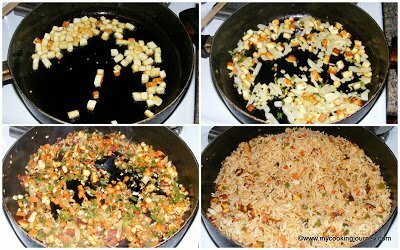 Add the minced garlic and fry for 30 seconds. 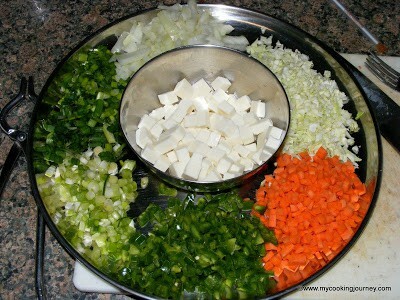 Add the rest of the chopped vegetables, half of spring onion greens and sesame oil and mix well. Fry on high heat, stirring constantly, for about 5 minutes or until the vegetables are cooked. Make sure that the vegetables still has a crunch to it. Add the soy sauce, ketchup and the hot sauce and mix well. 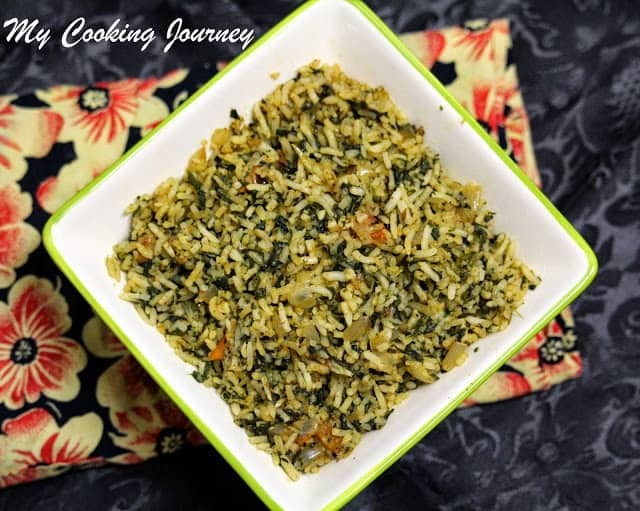 Let it cook for about 2 minutes and then add the rice. Gently mix to combine and check for the seasonings. 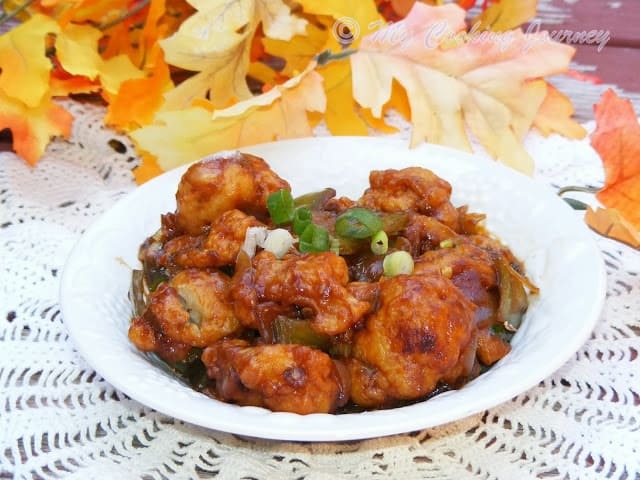 Serve hot with Gobhi Manchurian! This looks so sinful Sandhya, i am sure my kids will love this!